Chicken teriyaki is a Japanese chicken dish with savory and sweet teriyaki sauce. 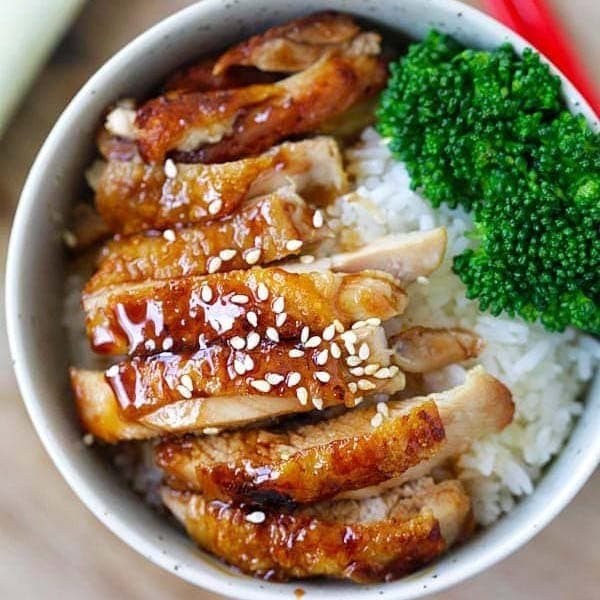 This is the best chicken teriyaki recipe and calls for only 4 ingredients. 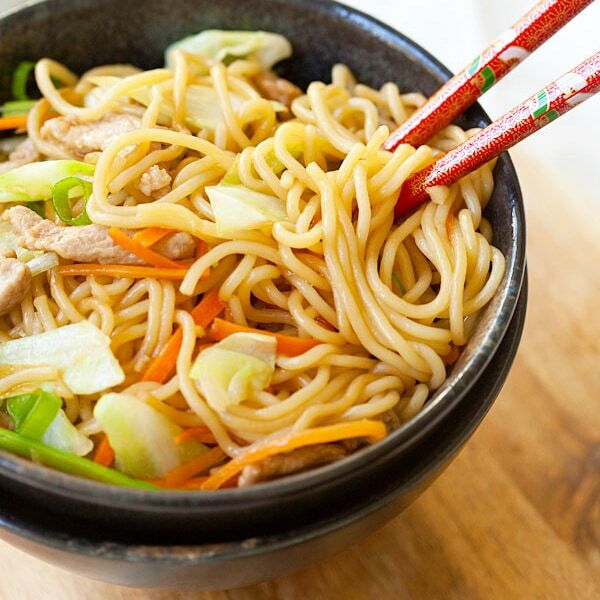 In this recipe, you will learn how to make chicken teriyaki from scratch by using only four (4) ingredients. I will also teach you the easy recipe and techniques on how to make the chicken super crispy, just like the best Japanese restaurants. I have personally tasted many amazing chicken teriyaki in the United States and in Japan. The best ones always have crackly and crispy skin. The chicken is sliced and drizzled with delicious teriyaki sauce. 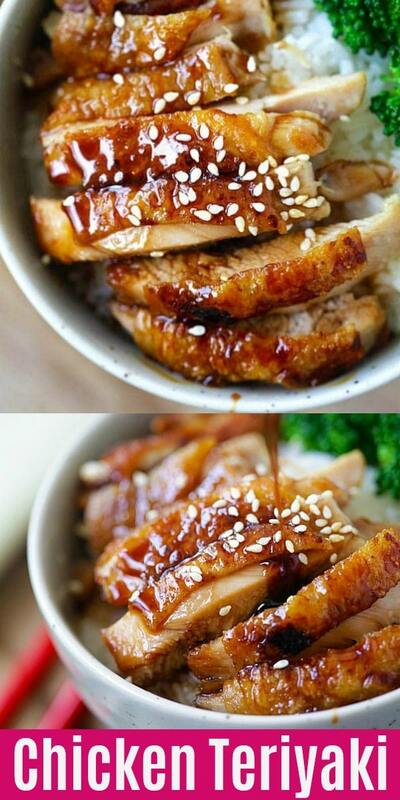 My recipe is one of the easiest chicken teriyaki recipes. The end result is absolutely delicious and it takes only 20 minutes from prep to dinner table. Use chicken thighs as the meat is juicy and tender. I always use skin-on chicken thighs. Debone the chicken thighs and keep the skin. You can debone chicken thighs easily with my How to Debone Chicken Thighs video tutorial and picture guide. For the best results, grill your chicken with an indoor grill. If you don’t have an indoor grill, pan-fry the chicken until the chicken skin is crispy and golden brown. How to Make Teriyaki Sauce? Japanese soy sauce. I like low sodium soy sauce for the sauce. It’s important you buy a good quality Japanese soy sauce. 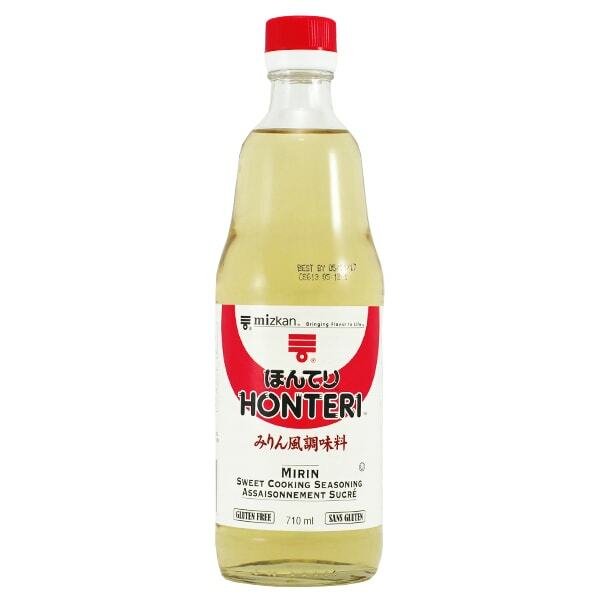 Mirin or Japanese sweet rice wine. To make the sauce, mix all the ingredients together. If you don’t have mirin or can’t take alcohol, you can skip it and add water to substitute it. Simmer the sauce on low heat until it becomes slightly sticky, just like the picture below. You can check out my video “How to Make Teriyaki Sauce for Chicken Teriyaki” here. Can You Freeze Chicken Teriyaki Sauce? 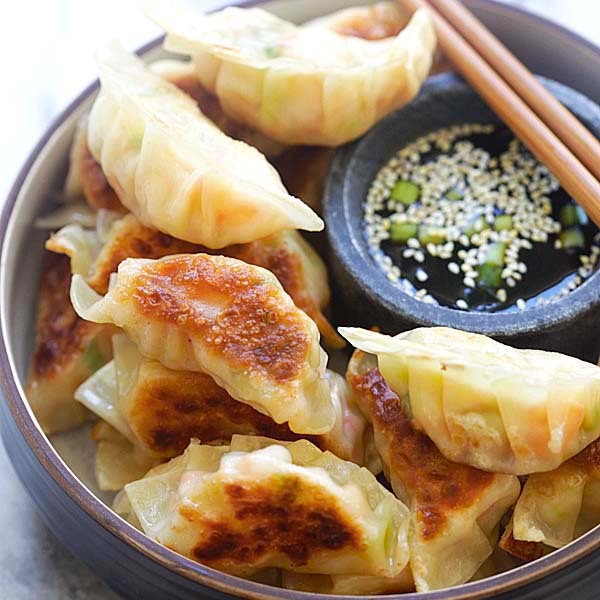 The teriyaki sauce can be made ahead so you can make a big batch and keep it in the refrigerator for up to two weeks. I don’t recommend freezing it as you don’t want the sauce frozen. Just keep in the refrigerator in a glass jar or a tightly sealed container and it will last for months. Use it whenever you want. 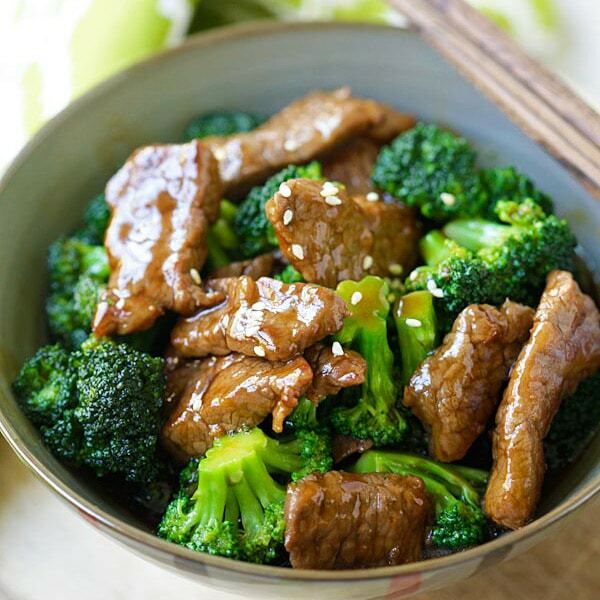 This recipe is only 390 calories per serving. Yes, teriyaki chicken is very healthy as Japanese recipes are one of the healthiest in the world. The recipe is also perfect as a meal prep for the entire week! Trust me, you won’t get bored of eating this dish. Enjoy! This meal is best served with steamed rice to create a rice bowl. For restaurant-style Japanese dinner, make the following dishes. Lightly season both sides of the chicken thighs with pinch of salt. 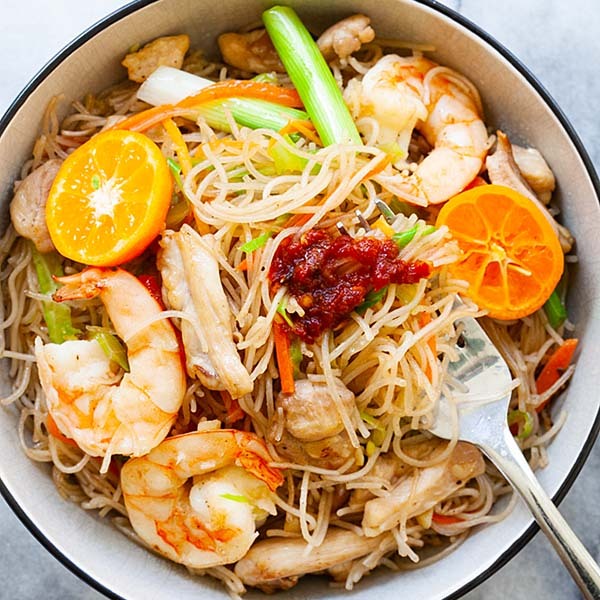 Combine all the ingredients of the Teriyaki Sauce in a sauce pan. 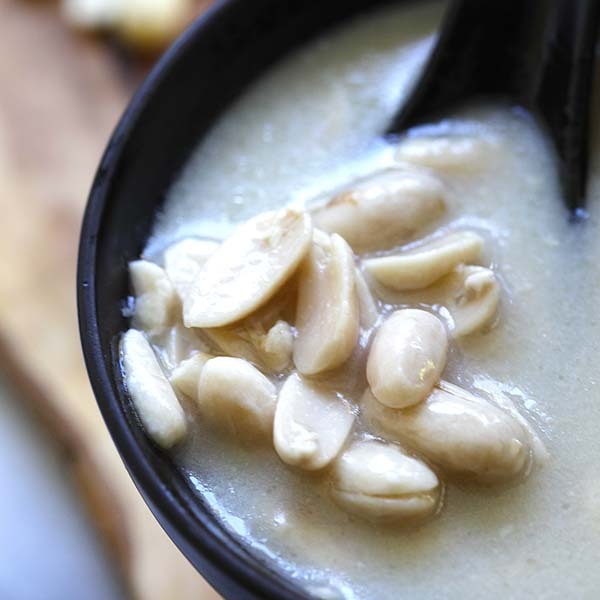 On low heat, simmer and reduce it to a thicker consistency, about 10 minutes. In the meantime, heat up a non-stick skillet on high heat. Pan-fry the chicken thighs (skin-side down first) until both sides are nicely browned and cooked through. The skin should be pan-fried to a crackly crispy texture. Turn off the heat, transfer the chicken out. Let cool. Slice the chicken thighs into pieces and drizzle the teriyaki sauce over the chicken. Garnish with the sesame seeds, if using. 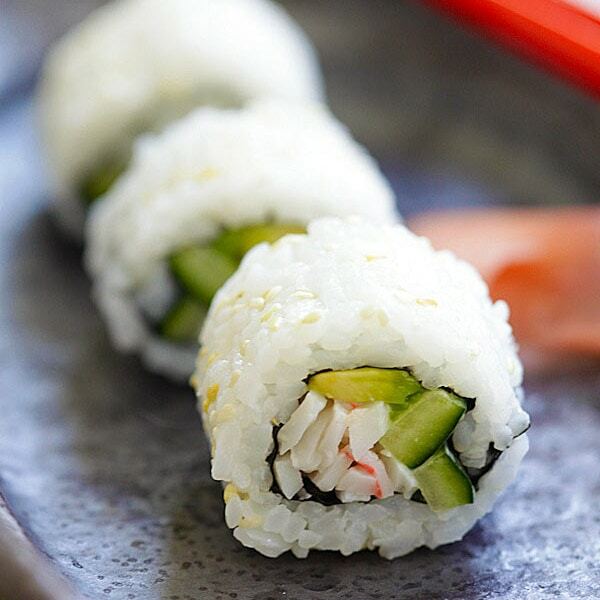 Serve immediately with warm steamed rice. 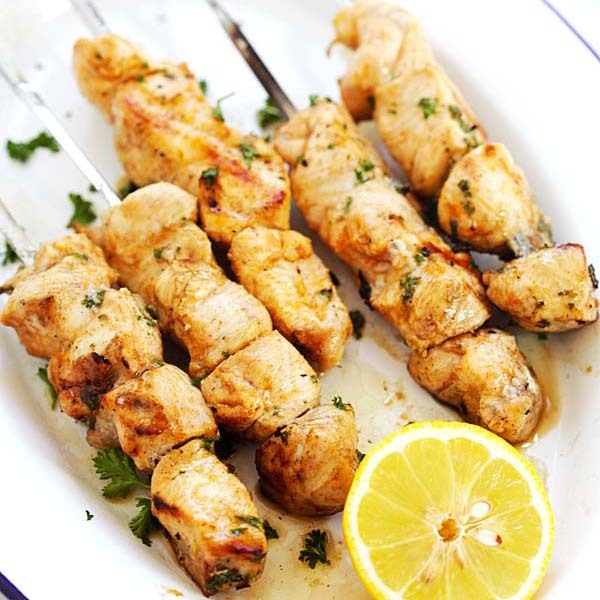 You may use boneless and skinless chicken breasts or chicken thighs. For the best results, use skin-on, boneless chicken thighs. Click to learn how to debone chicken thighs (picture guide and video). What brand of Japanese mirin and of soy sauce do you prefer? Thank you. You can use San-J soy sauce and for mirin, I use Mizkan mirin. I just discovered your website and I am truly impressed! Your recipes are amazing and the pictures are inviting your readers to try out your recipes right away. Just skip and add some water to dilute the sauce.